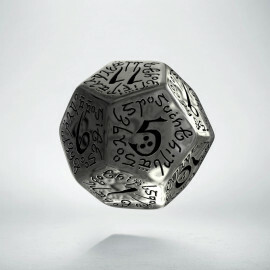 There are legends about wonderful items made of purest metal from live Mother Earths veins, hidden deep in dwarven mines. These legends are true. We, the Q WORKSHOP, went on quests to many dark places and found a map to a long lost forge of the Smashhammer blacksmith. Our emissaries have found there huge brassware gates to his foundry. These doors were hiding crates of Metal Dwarven Dice Sets, engraved with sacred symbols of the dwarven folk, made of top tin. Seven dice with engraved hammers and axes for seven hails for their god. These dice are sturdy as mountains and eternal as such. Real bones of the world, indestructible, heavy as most precious nuggets and made of tin minted from rivers of melted lava, by many brave dwarves who lost their lives in pursuit of perfection. But in those dice brave miners will live forever. We salute the heroes by putting a Symbol of Brassware Gates on the elegant boxes. This is our memorial for all tough as nails bearded folks. So you buy something more than game tool, you buy a Legend. Use our dice in all games where tough warriors, masters of crafts, pure-hearted heroes and heroines will have to save the world, defeat all enemies and drink mead. In this world where all what is worthy is earned with hard work, our dice are solid like Mother Earth herself. 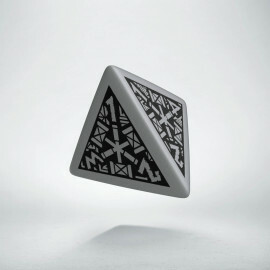 Other dice can be only trinkets, our dice are different. 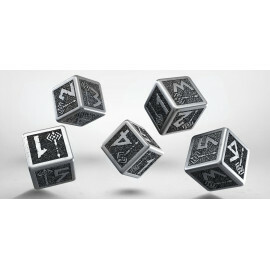 Grab them and feel durability, solidity and weight of metal dice. Can anything be better in hands of heavy hitters, and monster slayers? Nothing. Without any questions.And as dwarves are great traders, today we can offer you this gorgeous dwarven metal set of 7 RPG dice in sensible price. But, if you don’t feel worthy of Dwarven Metal RPG Dice, you can train with their lighter versions. 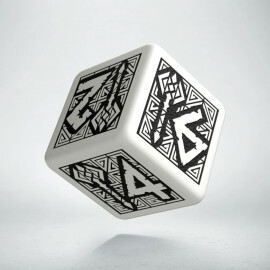 We have Dwarven Dice made of lighter materials. 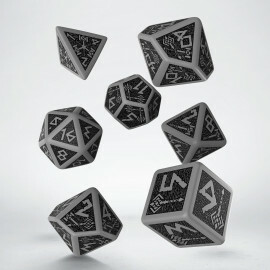 Train hard with them and come back for real Metal Dwarven Dice. Be a hero, not a weakling. Be no elf.